Whether it comes to culture, politics, entertainment or economics, Seoul is the hub of Korea. The wonderful scenery of the city can be enjoyed all year round and there’s always so much to do in Seoul. It can be an expensive travel destination so planning and booking early is a must when visiting Seoul. For the most economical deals of Business class tickets to Seoul, Corporate Express Travel is the best platform. Explore what you can’t miss in the city through the Seoul Travel Guide. 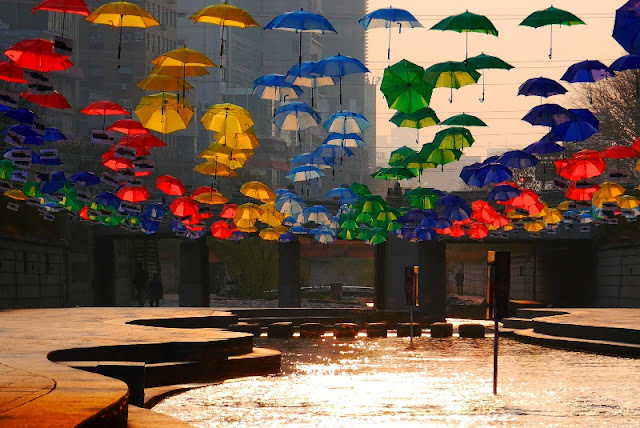 Seoul is the happening city where you’ll find something to do every time you visit. However, the ideal time to visit Seoul is between March and May. Since this is when spring time starts in Seoul, the beauty of lilacs and cherry blossoms would leave you awestruck. The weather is pleasant and you’ll have no troubles in going out and about. Fall is another great time to visit Seoul because of the affordable deals available throughout this season. Since there are lesser crowds, you’d have the opportunity of exploring the city to the maximum. December is only ideal for you in Seoul if you’re in for adventure and thrills. Since the temperature drops down a great deal, you’ve the opportunity to ski, snowboard and go fishing. Seoul is home to spectacular sites and your journey would be incomplete without visiting some of them. The Gyeongbok Palace, literally meaning Shining Happiness is one of its examples. The magnificence of the palace attracts millions of visitors. The palace has seen an extremely turbulent and disturbing past, but still stands high for its beauty and vastness. The Cheonggyecheon is an attractive stream in Seoul that runs through the downtown and is 11 km in length. Even if you’re not too keen on dipping your feet in, you’ll be thrilled to see the beauty of the stream. Changdeokgung is one of the other majestic palaces of Seoul and is also listed as the World Heritage Site. A guided tour of this spectacular palace would delight you a great deal. If you want to explore the unique architecture of Seoul, head to its iconic Tower. Proudly standing at a height of 236 m, it has been a popular tourist spot since it opened in 1980s. If you visit during the night time, have the pleasure of witnessing the multi-colored light show. The digital observatory at the tower will give you the best views of Seoul. Above all, it’s very famous for tying love locks! Foodies will fall in eternal love with Seoul because of its divine cuisine. Koreans certainly take food very seriously and you’ll experience it through the cuisines you’ll taste. Street food in Seoul is the best way to enjoy the novelties. Forget how you’ve been having chips, Tteok is what you’ll love having there! When visiting the city in winters, please yourself with a pork and potato soup known as Gamjatang. Koreans cook cold noodles in the best manner and that is why Naengmyunis such a popular street food. There’s much more and it would be a delightful experience to indulge in the Korean cuisine. Explore Seoul and have a truly magical holiday!